Watch as Black Ice Liquid Edition melts onto your screen at the subatomic level, fortifying it against abrasions, cracks and germs* (*electron microscope required for observation). Sure, it’s invisible to the naked eye, but trust us, science is at work and there’s a lot going on. With Black Ice Liquid Edition your screen maintains its original feel and look while our nanotechnology and proprietary polymer align with the glass to form a hard, truly invisible shield. Once our specialized nanotechnology is applied to your screen it will give you up to a year of protection against air bubbles, dust, grease and smudges. 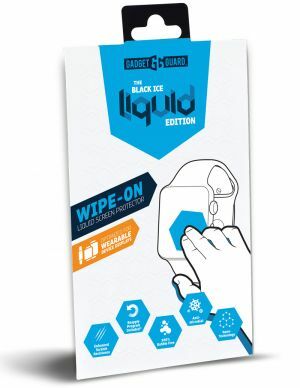 Black Ice Liquid Edition covers any electronic device with a glass screen. *Black Ice Liquid Edition wears off over time, which is why we created a reapply program. Simply register your Black Ice Liquid Edition and 11 months from your registration date you will receive a reminder email from us with a link to order your discounted Black Ice+ Liquid Edition product.